To understand what Tales of Krakow is about, it’s up to me to tell you more about the legend this video slot has been inspired by. I have to admit I’m not an expert in Polish legends, but a little search on the internet gave me The Wawel Dragon as a result. As I said, I’m not a Polish legends expert, just as pronouncing the Polish name of the legend Smok Wawelski doesn’t go very fluent either. The dragon this legend is about is also known as the Dragon of Wawel Hill as his lair was in a cave at the foot of Wawel Hill which could be found on the bank of the Vistula River. This same hill can be found in Kraków, in that time the capital of Poland. It all depends on the version of the legend because in some versions the dragon lived before the founding of the city, when the area was still inhabited by farmers. The Dragon of Wawel Hill is a fable which has been passed through generations. 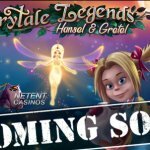 Net Entertainment loves legends, fables and other cultural stories as Tales of Krakow isn’t the only video slot inspired by such as story. 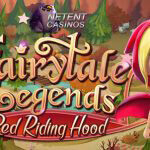 Arabian Nights, Excalibur, Robin Hood and Jack and the Beanstalk are just a few examples of Netent video slots based on a similar story. Tales of Krakow plunges the player into Polish folklore, with its symbols depicting the legends of the Wawel dragon, King Boleslaw and the trumpeter. And as almost every legend has a villain, it seems the devil himself is one of the characters in the Polish legend. Something else all legends and folklores have in common, is the balance between good and bad, and I assume the good part is filled by the King and his daughter, two of the main characters which can both be found on the reels. Usually I prefer the good, but in case of Tales of Krakow it’s going to be a tough choice as devil is acting as a Wild while the King can be found on the Scatter. Tales of Krakow is one of the older video slots design by Net Entertainment which means no evolutionary symbols or features can be found in Tales of Krakow, but I’m sure the animated symbols, which come alive when they get involved in a winning combination, must have been quite something for the time Tales of Krakow was created. And even though not the most modern video slot, Net Entertainment couldn’t have come up with a better setting than the mountainous landscape of Krakow as this dimly lit scenery works perfectly in combination with the brighter coloured symbols used for Tales of Krakow. With four different bet levels and six coin values, you have quite some options to choose from. Low risk players can even choose to play with only one bet line, although I always recommend to activate all bet lines, and in this case this means 30 bet lines and with that a minimum bet of 0.30. With all bet lines activated, the fourth bet level and with 0.50 as the highest coin value, you get the chance to play with maximum 60.00 which makes Tales of Krakow a game for all kind of players. The devil himself is acting as a Wild symbol known for its ability to substitute for any other symbol in Tales of Krakow to complete a winning bet line, except for Scatters and Bonus symbols. With this role to play, the flame red devil is for once more than welcome to show up on the reels. The same goes for the scattered knight as three of these King Boleslaw Scatters award twelve Free Spins. It doesn’t matter where these icons appear, as long as there are three or more of them. 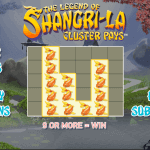 Not only are the twelve Free Spins totally free, but with a x3 Multiplier attached to them, all your wins will be tripled as well. This means triple the pleasure without any cost for you. Wawel Cathedral and Kraków’s Wawel Castle stand on Wawel Hill and in this same area you’ll find the statue of the Wawel dragon too. And to make the whole memoriam complete, there’s also a plaque commemorating his defeat by Krakus, a Polish prince who, if believing the plaque, founded the Krakow and his palace over the slain dragon’s lair. The dragon’s cave, as can be found below the castle, is till today a very popular tourist stop. 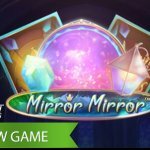 No wonder this tiny province of Krakow, providing so much charm, mystery and entertainment, has been used as a décor for an even more charming video slot packed with features. And no Tales of Krakow video slot, without the dragon’s cave used no other than for the Bonus feature. 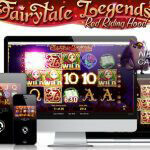 Three or more Dragon Bonus symbols on one enabled bet line activates The Wawel Dragon bonus game. The aim of the bonus game is to find the bonus sums hidden within the eggs, but the moment some green damp is all you find in the egg, the bonus game comes to an end. 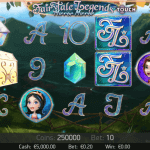 This pick a win style game offers three levels where every successful choice awards a bonus win and just as the rest of this older Netent video slot has been designed in detail, so is The Wawel Dragon Bonus game. But if I can give you one tip, keep an eye on the Wawel Dragon, as he is keeping an eye on you too!